A lack of properly licensed cultivators and distributors in California’s adolescent recreational cannabis market is providing an opportunity for the multi-faceted company to guide industry growth in the right direction. 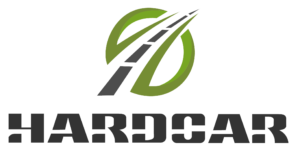 January 30, 2018 – (Palm Springs, CA) –HARDCAR Distribution has a thorough understanding of California’s recently minted recreational cannabis market, positioning the brand to steer rapid industry growth in a positive direction.The distributor has solidified itself as an industry leader, moving a higher volume of cannabis than any of its competitors in the state of California while always keeping a close eye on compliance. With new regulations in The Golden State, HARDCAR is providing viable solutions for the cannabis community. HARDCAR Distribution offers solutions to this problem with the largest, most high-tech armored distribution company in the industry, bringing their client’s product to market quickly so they don’t miss out on the right opportunities. Manned by highly trained US Military Veterans, HARDCAR guarantees safe and timely delivery of the freshest products. Only about 20 licenses have been issued for testing statewide, so HARDCAR’s mobile lab testing technology will help expedite the process. Plus their mobile extraction technology will take clients one step closer to producing the top-notch products consumers are seeking in this blossoming market. HARDCAR is poised to become an industry leader while keeping in mind the best interest of their clients.